Gurnee, Ill. (September 1, 2011) – Get ready to take flight! 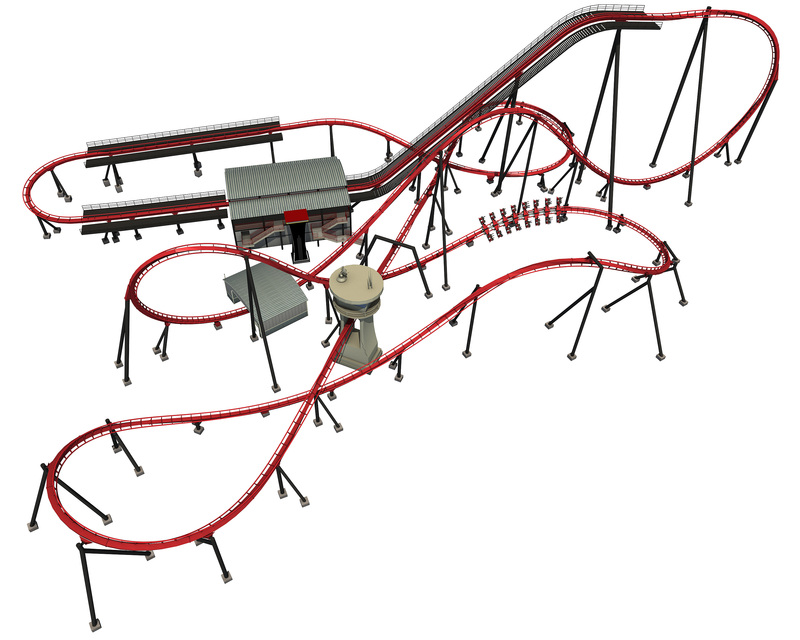 Six Flags Great America announces plans to add a state-of-the-art roller coaster for the 2012 season. X-Flight is a ground-breaking wing coaster featuring cutting-edge technology. 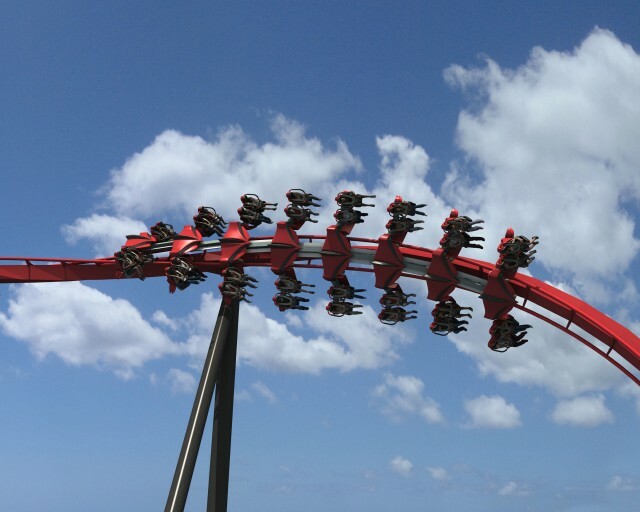 The Gurnee theme park is the first to announce plans for a wing coaster in the U.S.
2012 Season Parking Pass free. Sale ends October 30, 2011. Intitial 2012 Thoughts – At first glance, it does appear to show a resemblance to The Swarm. Although Thorpe Park hasn’t released any concept art or a video for their ride yet, Six Flags Great America’s version looks decently intense with what should be a forceful immelmann. The diving first drop is becoming a great signature B&M Wing Rider element. With 5 inversions, as well as some solid theming, there’s no doubt this will be an excellent addition to the park. Bravo Six Flags. Can’t wait to see this one take shape.